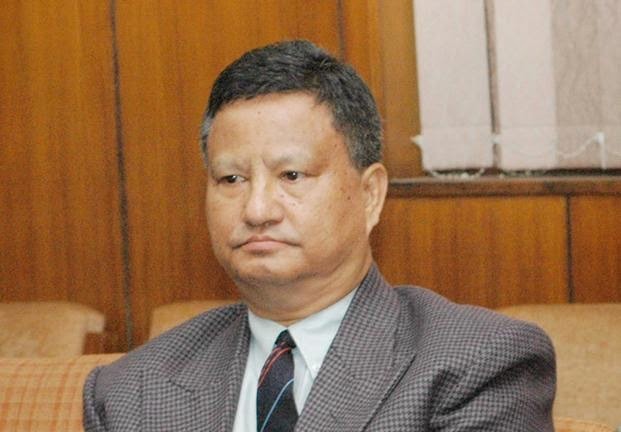 1) Brahma to be new Chief Election Commissioner of India: H.S. Brahma, the seniormost Election Commissioner, will succeed V.S. Sampath as the next Chief Election Commissioner of India. Mr. Sampath will demit office on 15 January 2015 after turning 65. Mr. Brahma, who hails from Assam, is also an IAS officer from the 1975 batch of the Andhra Pradesh cadre. Like Mr. Sampath, he too held the post of Power Secretary before being appointed Election Commissioner in August 2010. He will hold office for only a very short period, until he turns 65 on April 19 this year. 2) Union Minister Mukhtar Abbas Naqvi convicted for breaching prohibitory orders: A local court in Rampur district of Uttar Pradesh has sentenced Union Minister of State for Minority Affairs Mukhtar Abbas Naqvi to a year in jail for breaching prohibitory orders during the Lok Sabha elections in 2009. He and 19 others were released on bail of Rs.6,000, each, later. 3) Samsung launched Z1, its first smartphone running on its own operating system Tizen: Putting an end to a two-year wait, Samsung launched Z1, its first smartphone running on its own operating system Tizen in India on 14 January 2015, and priced at Rs 5,700. Targeting the low-end of the smartphone market with Tizen, Samsung may have a chance to compete with aggressive Indian players like Micromax, Lava that offer high specs at low prices and its international rival Xiaomi, which has upstaged the Korean giant in one of the world's largest device market, China. 4) Italian President Giorgio Napolitano resigned: Italian President Giorgio Napolitano handed in his resignation as head of state on 14 January 2015, leaving Prime Minister Matteo Renzi with the politically delicate task of finding a successor. The 89-year-old Napolitano, widely respected outside Italy as a guarantor of stability during the euro zone crisis, had always been expected to step down before the end of his second term in office because of his advanced age. 5) Open water swimmer Bhakti Sharma sets world record in Antarctic Ocean: India's open water swimmer Bhakti Sharma has set a world record by swimming 1.4 miles in 52 minutes in one degree temperature at Antarctic Ocean. She has bettered the earlier record of British open water swimmer Lewis Pugh and American swimmer Lynne Cox, a release said. Bhakti is now the youngest in the world and the first Asian girl to have achieved this feat. 6) Ex-CBI chief AP Singh resigned as UPSC member: Former CBI director AP Singh — who has been in and out of controversies in recent months — has quit as member of the Union Public Service Commission two years ahead of the end of his term. Sources said Singh’s resignation had been accepted and a formal notification would soon be issued. Singh has been under the scanner for his association with Delhi-based meat exporter Moin Qureshi who has been under investigation by the Enforcement Directorate and the Income Tax department. 7) Bhiku Ramji to head Commission on Denotified & Nomadic Tribes: Bhiku Ramji Idate has been appointed as the Chairperson of the Commission on Denotified and Nomadic Tribes, the Government said. According to a statement issued, a Commission on Denotified and Nomadic Tribes has been constituted for a period of three years from the date of Gazette Notification or appointment of Chairperson.